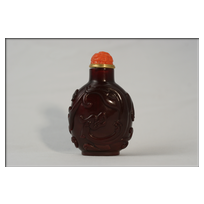 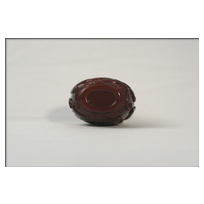 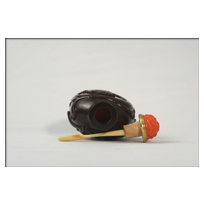 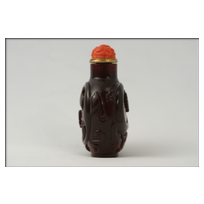 Semi-translucent russet-maroon color snuff bottle, that changes with the light, carved with an elegantly sinuous Chi-dragon. The other side with a stylized Chi-dragon with its young. 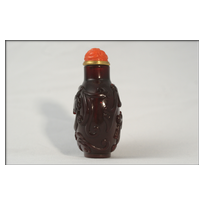 Probably made for the Palace.